Dr. Dorothy Vaughan was born on September 20, 1910 in Kansas City, Missouri. She received a scholarship and graduated from Wilberforce University with a Bachelor of Science degree. Her early career years were spent as a teacher to help her family during the Great Depression. She was a high school mathematics teacher. In 1943, she began her 29 year-career as a mathematician and programmer at Langley Research Center. In 1949 she was the first African American woman to supervise a staff at Langley Research Center. Dr. Vaughan represented perseverance and determination when she taught herself and her staff the FORTRAN program language. She predicted the future role of machine computers. Thus, she taught the women under her supervision programming languages and other concepts. In addition, she made significant contributions to the space program. Dorothy Vaughan’s leadership, innovation, creativity, curiosity and love of learning are the legacy we strive for at the new computer science immersion magnet school. These principles are what we want to exemplify for the CMS students that will learn and develop here. The CMS School Board and district leaders know and understand the skills needed for the unknown jobs of the future and are dedicated to preparing our students by way of this new computer science immersion magnet school. 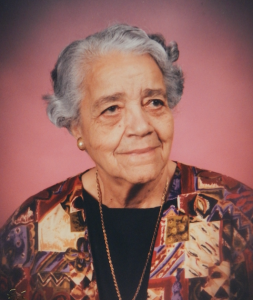 Dorothy Johnson Vaughan represents this dedication as well, through her historical contribution of forward thinking, diligence, preparation and academic achievement.